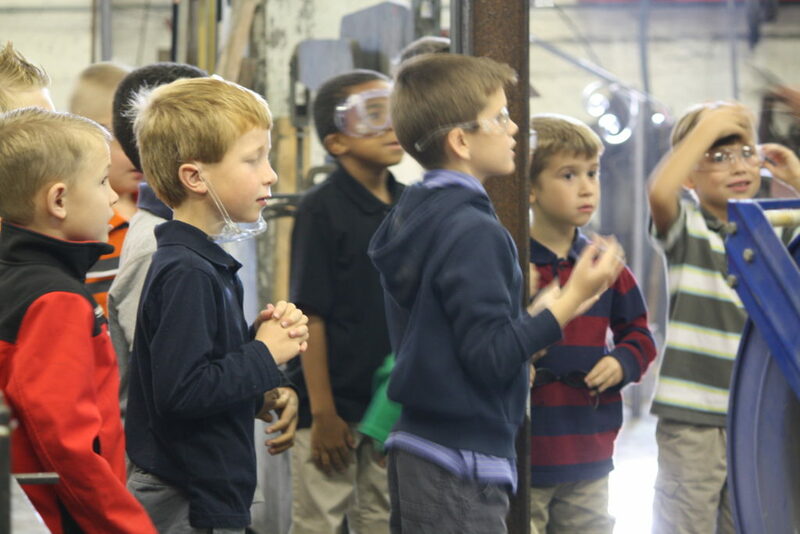 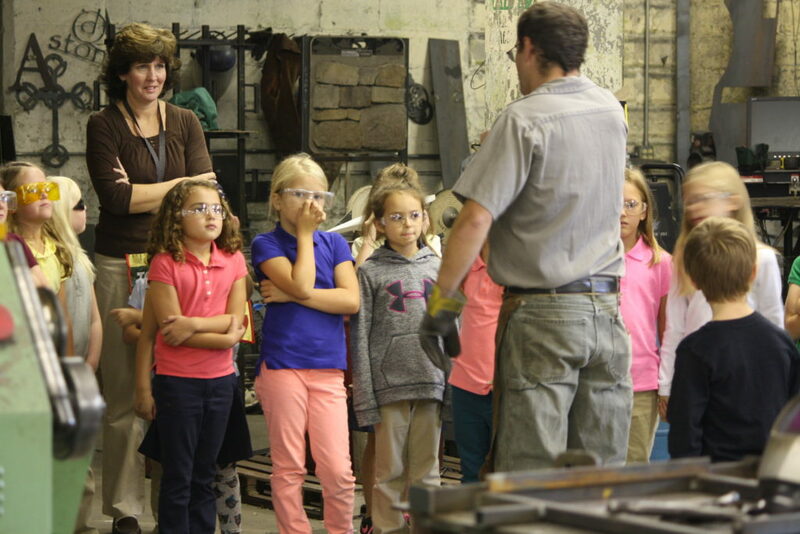 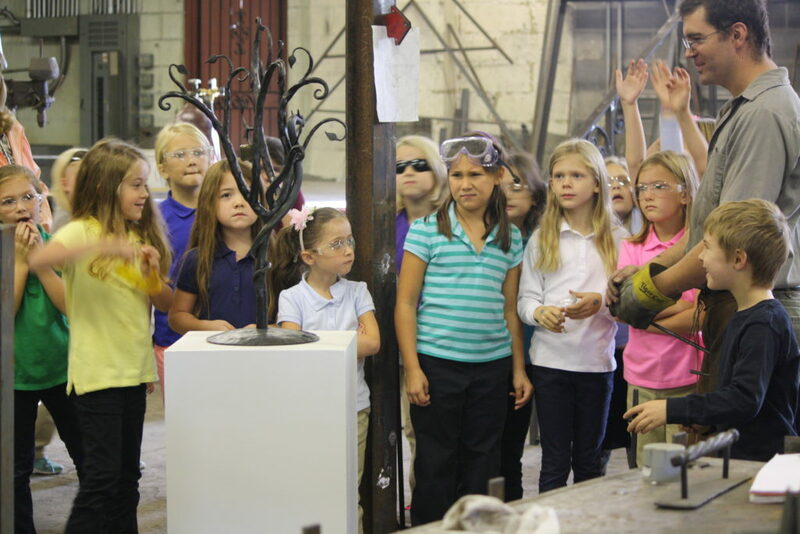 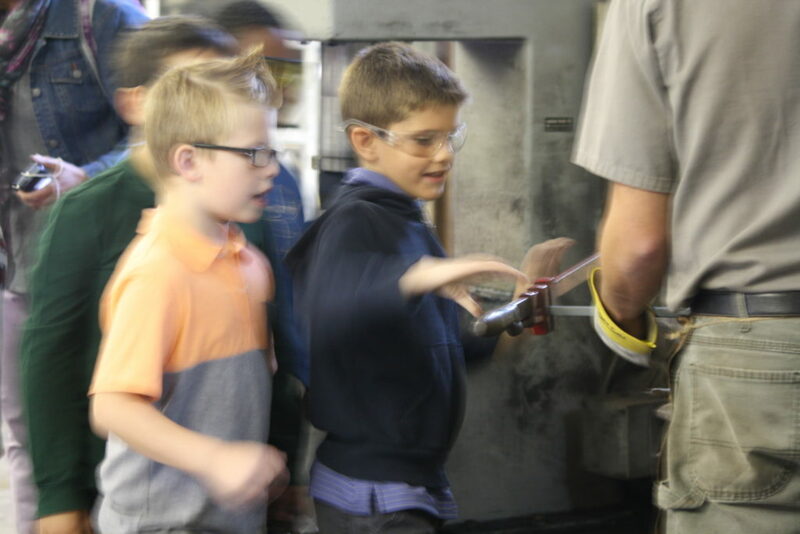 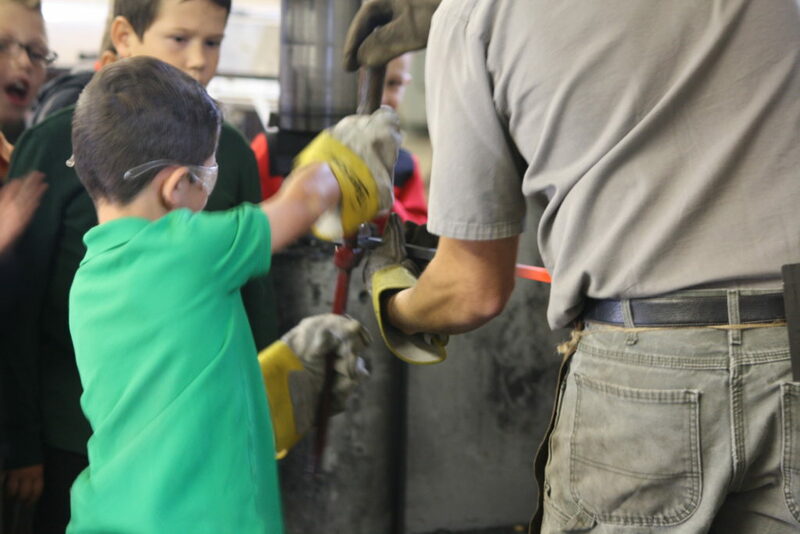 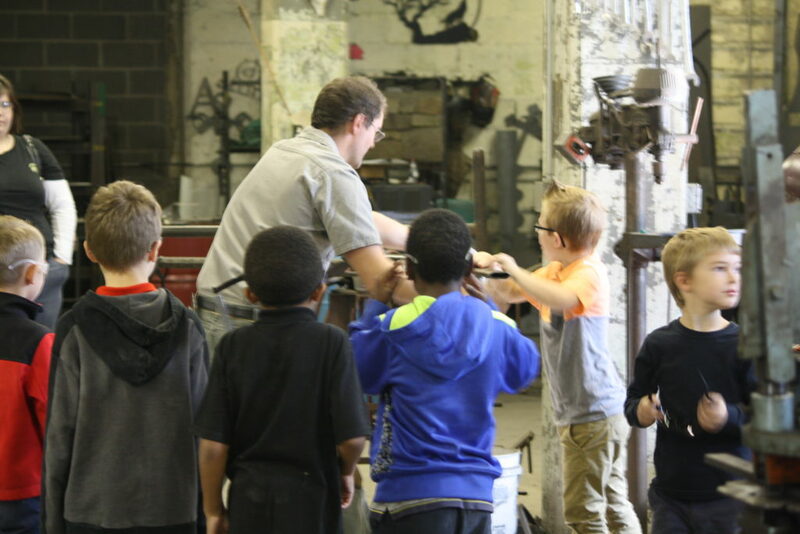 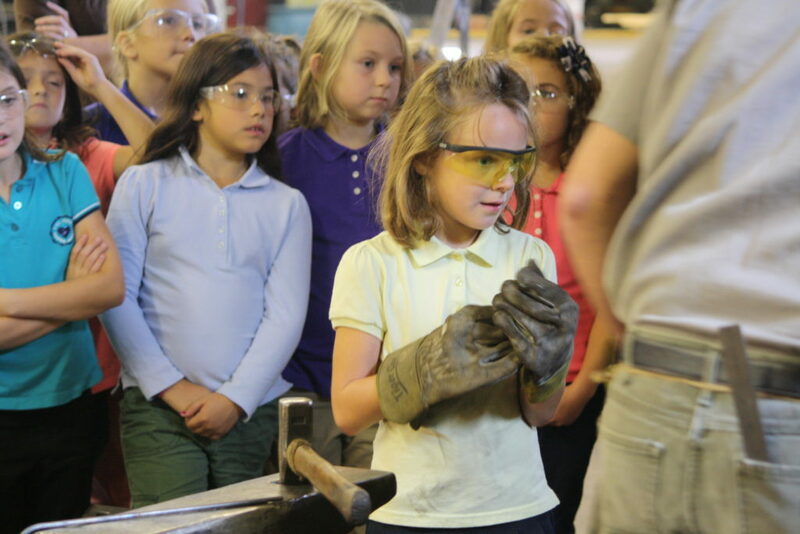 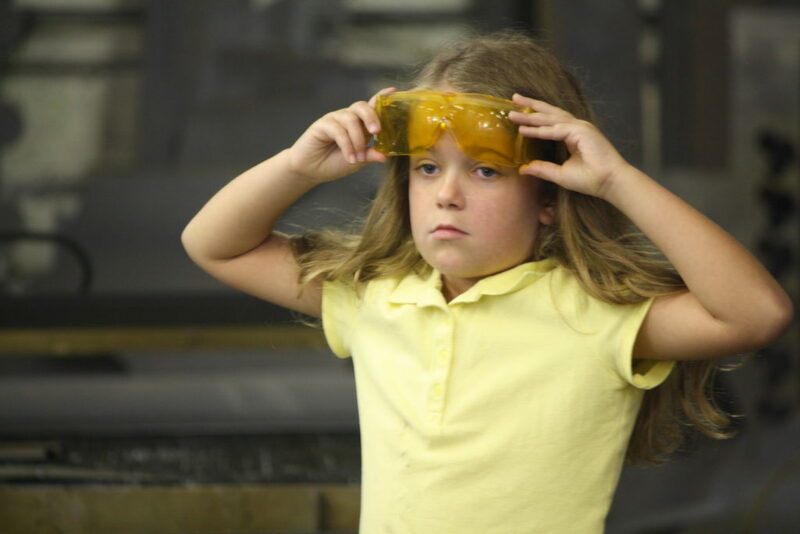 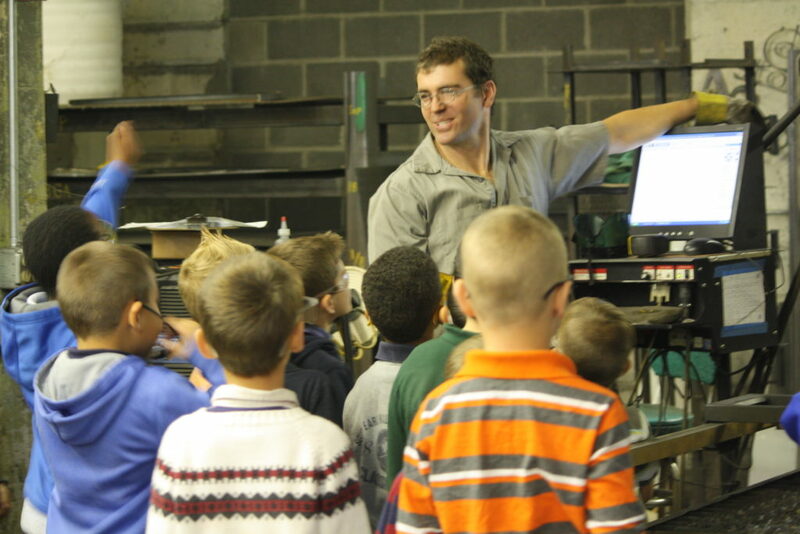 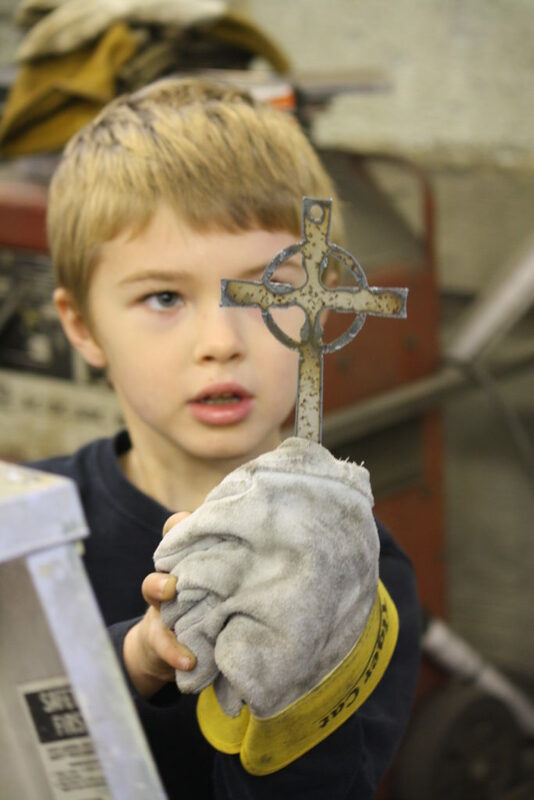 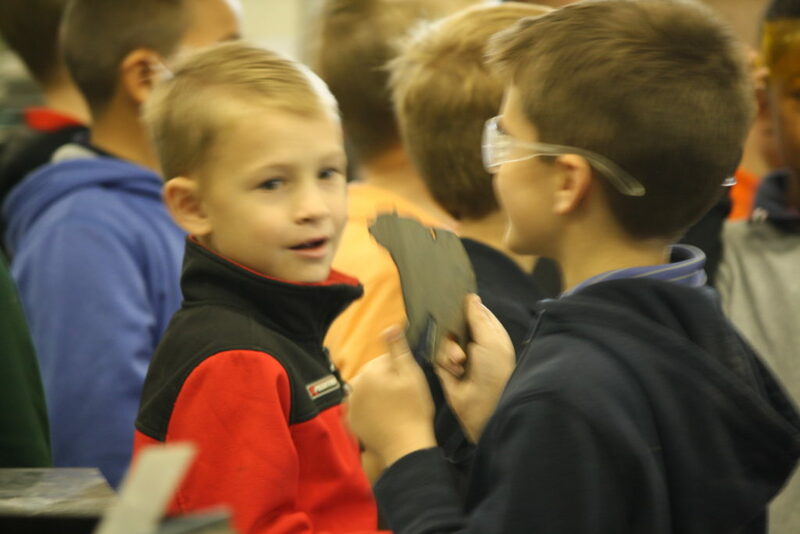 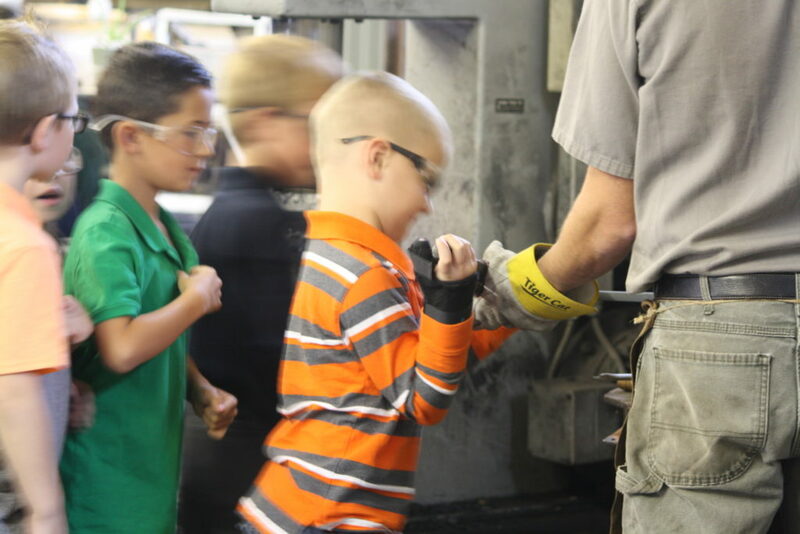 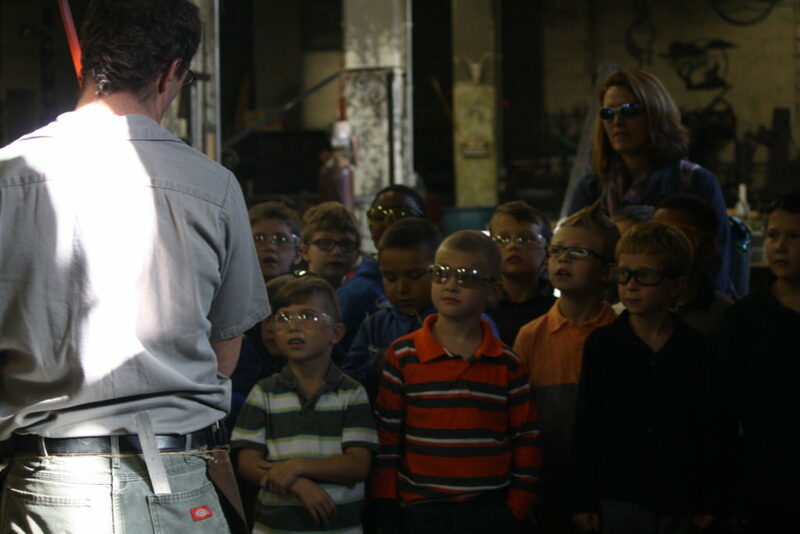 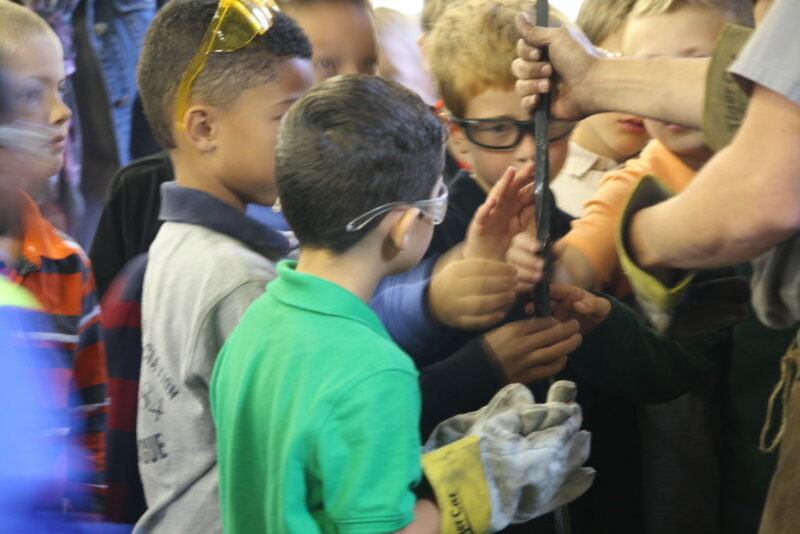 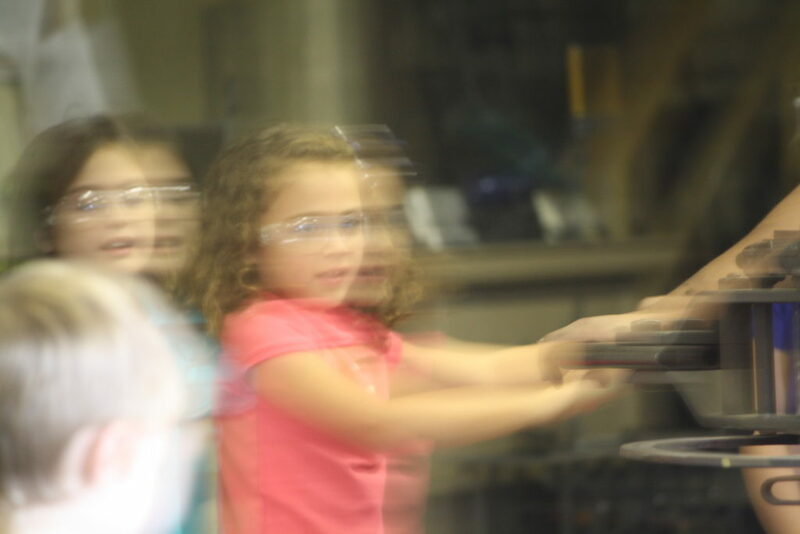 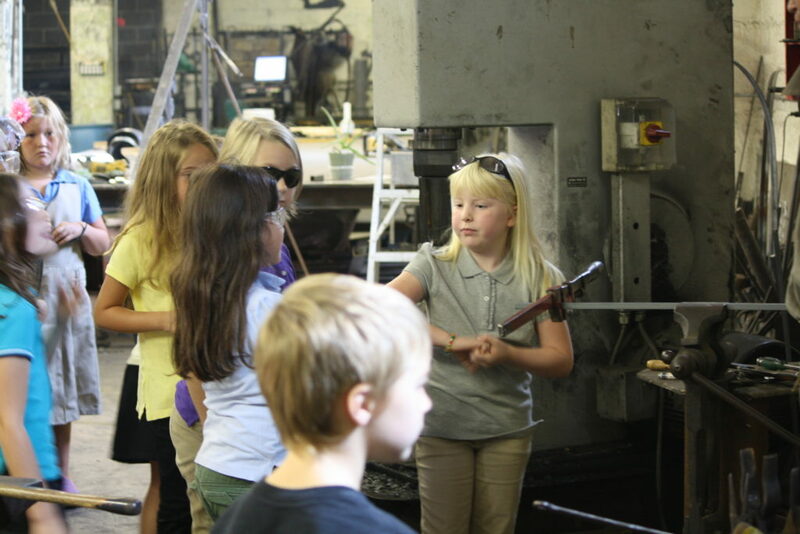 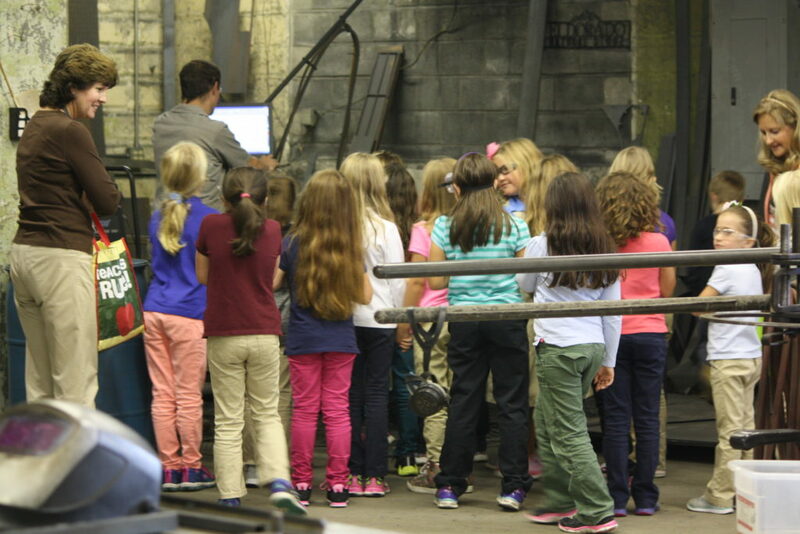 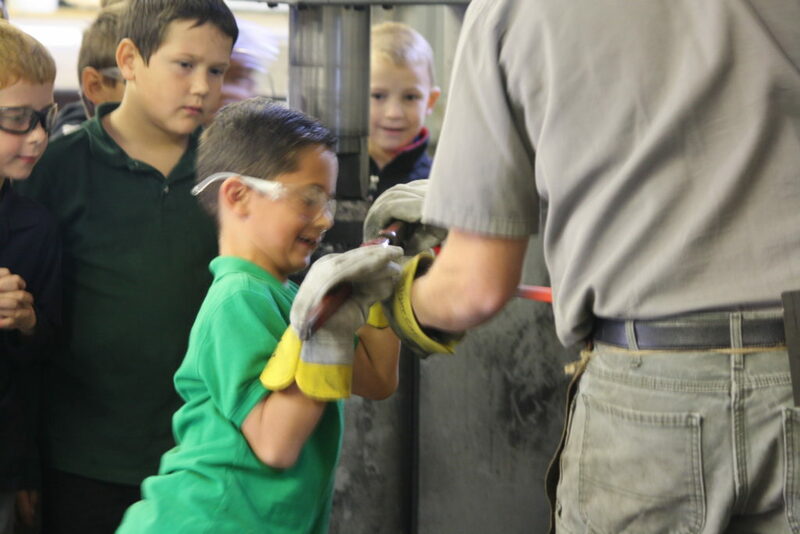 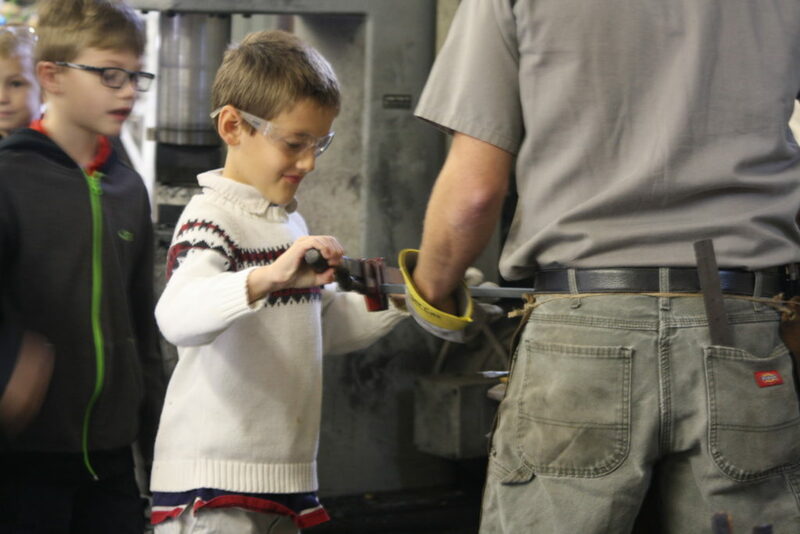 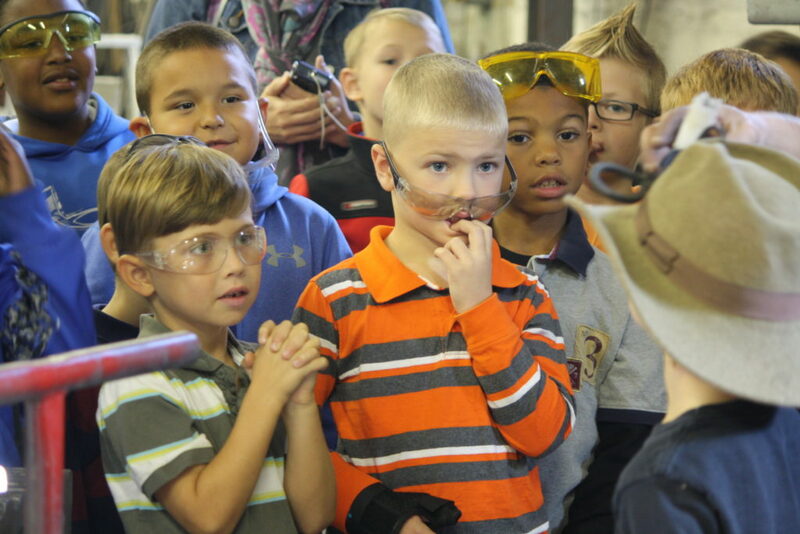 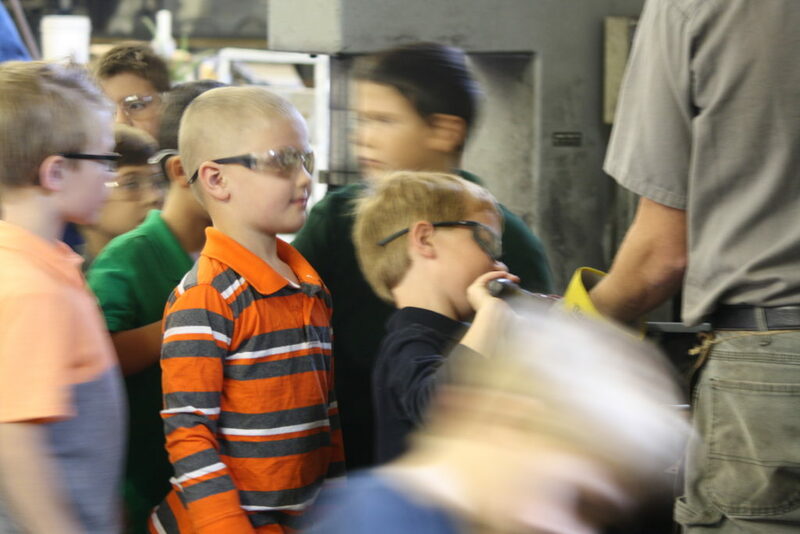 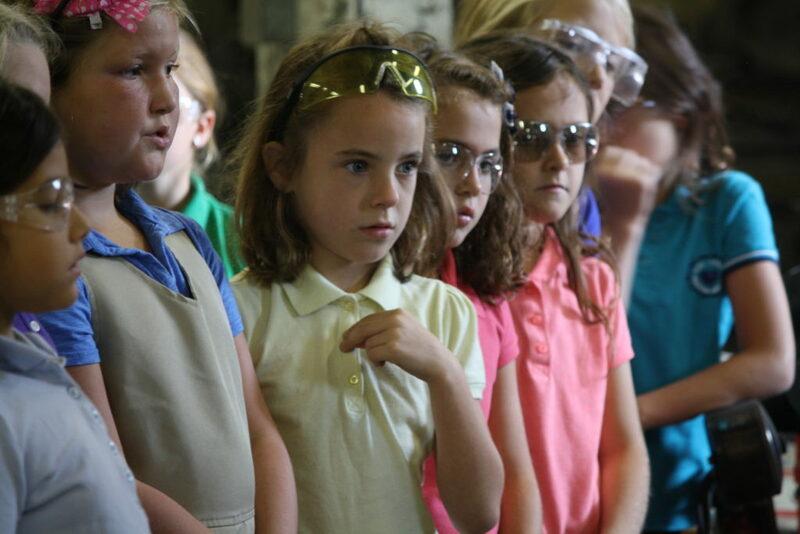 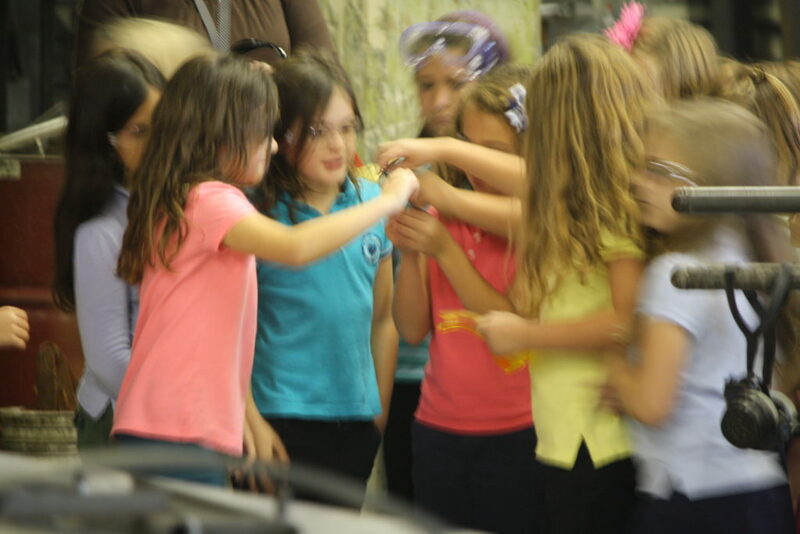 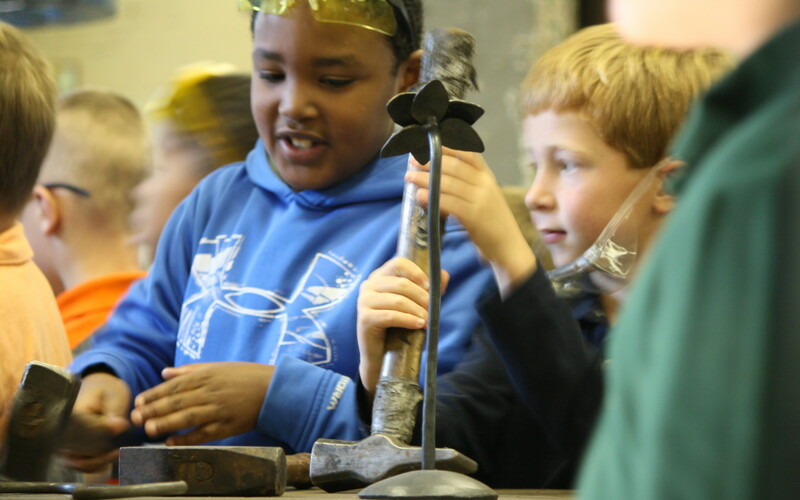 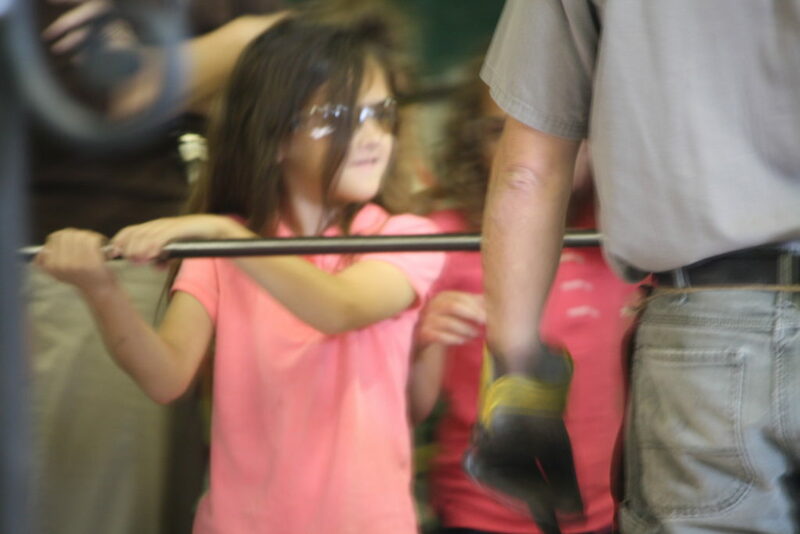 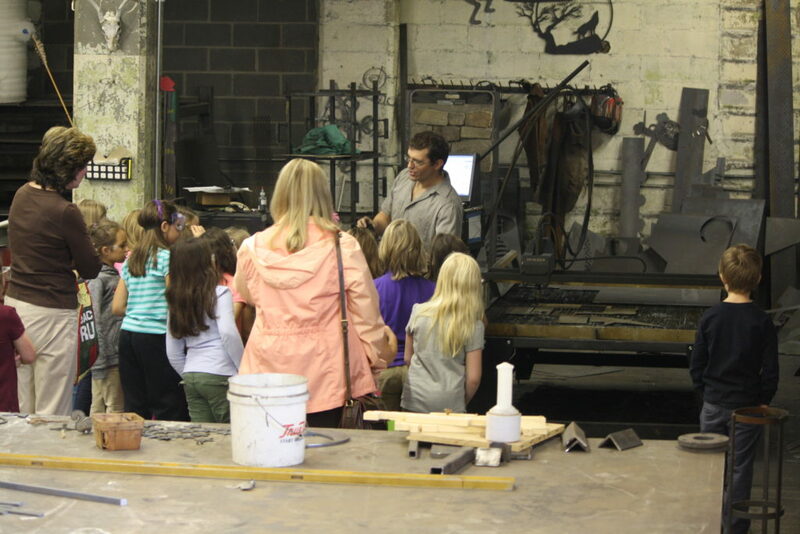 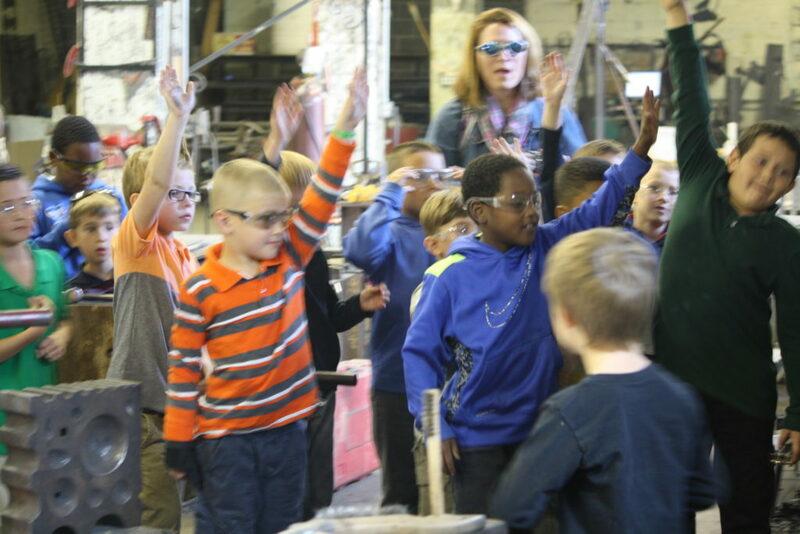 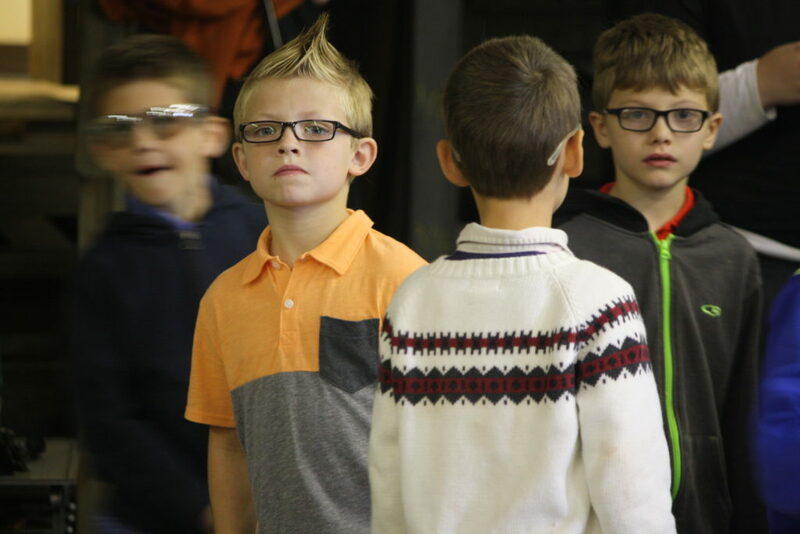 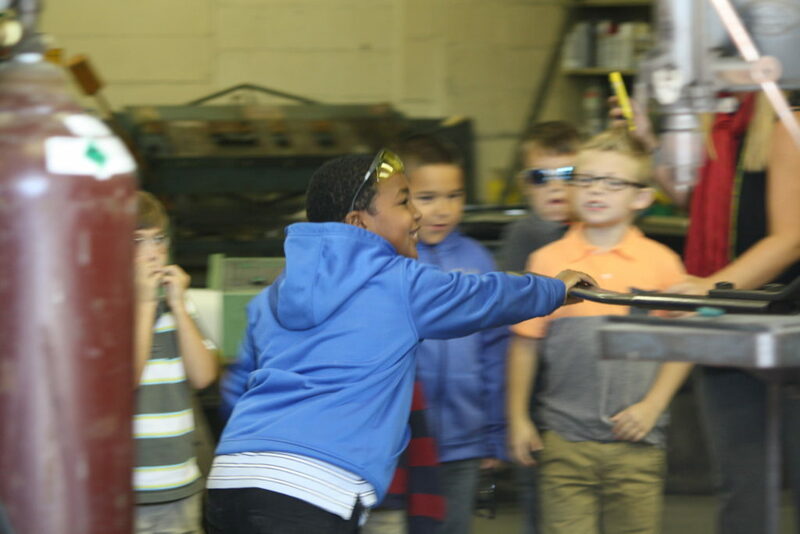 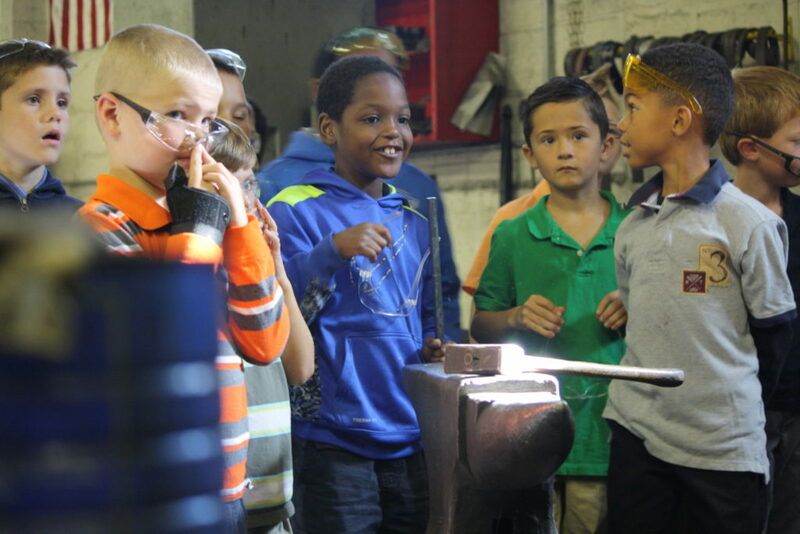 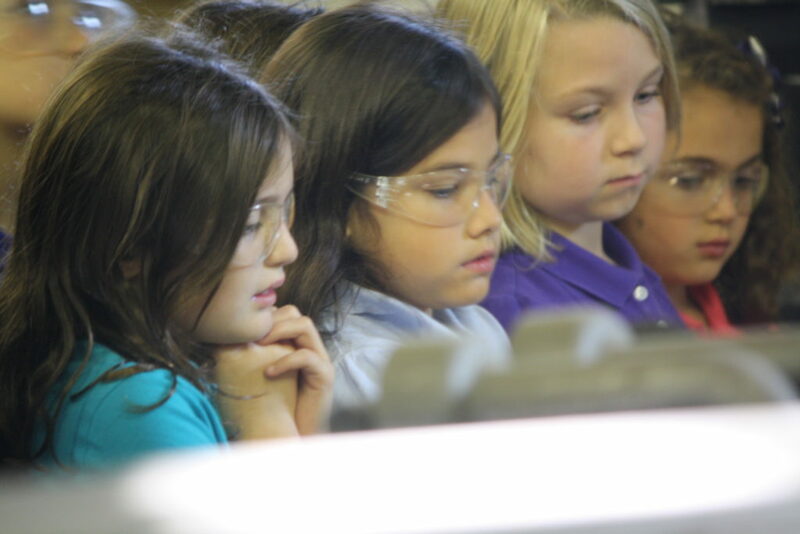 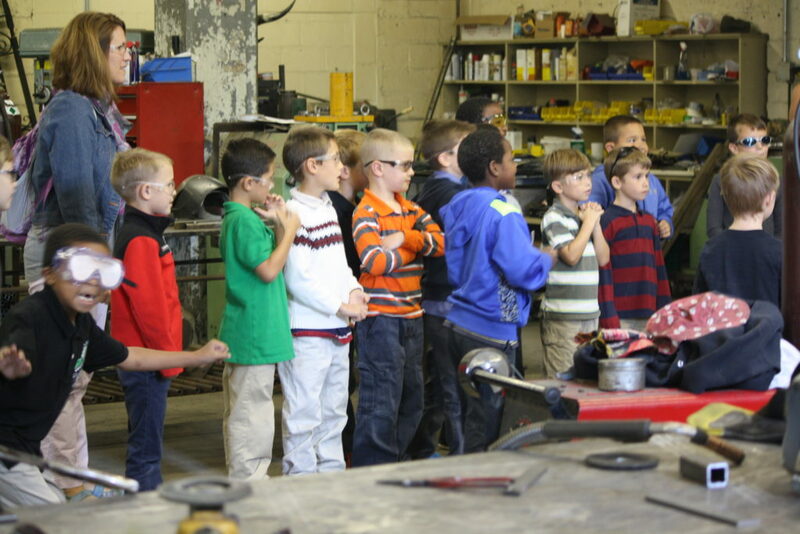 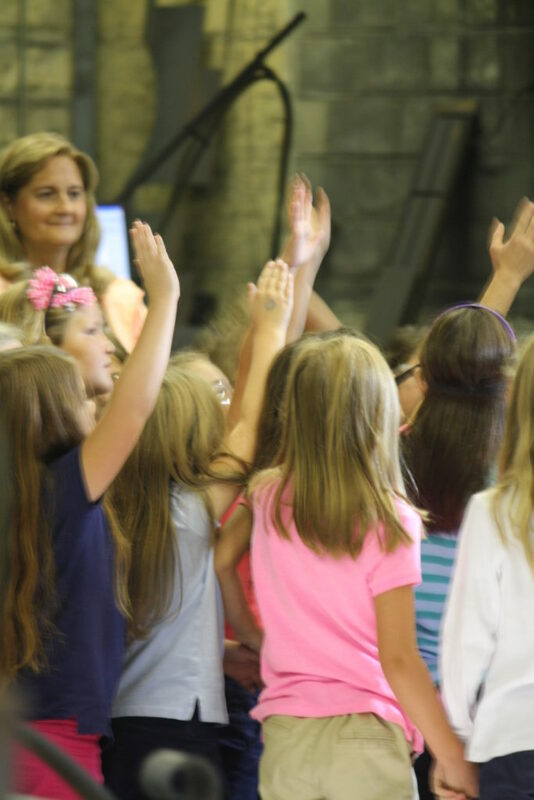 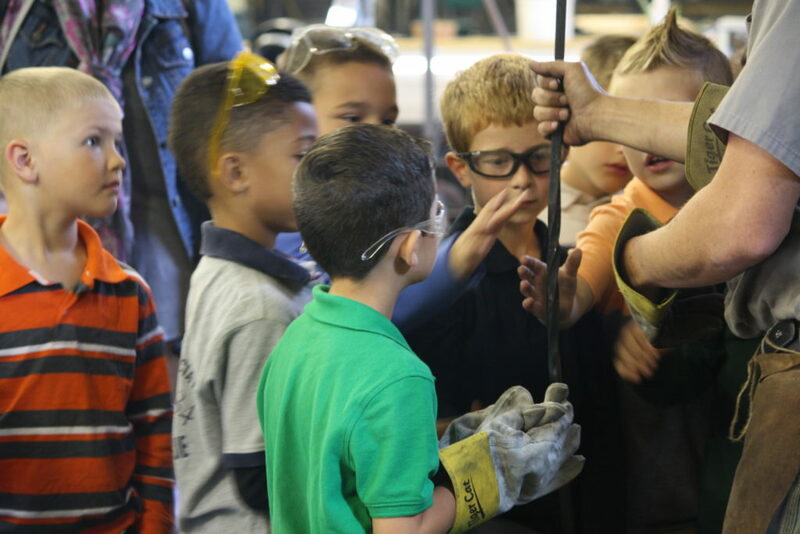 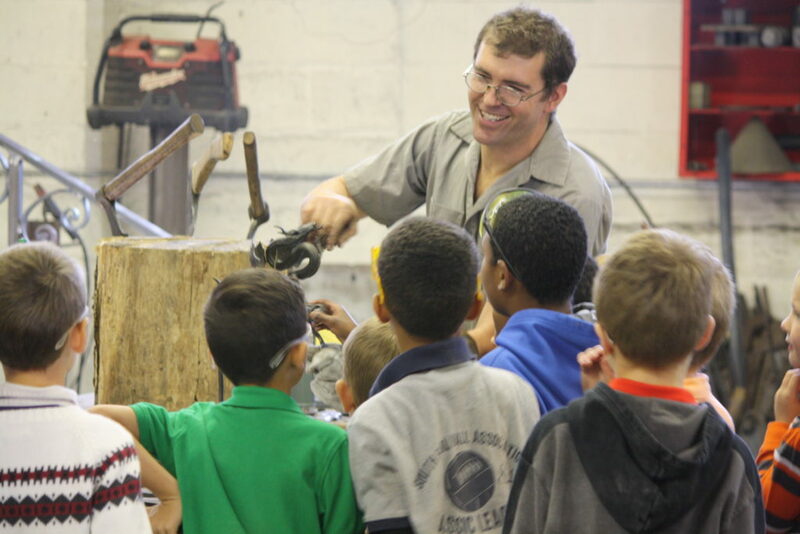 Antietam Iron Works was pleased to host the 2016 Annual 2nd Grade Field trip from Cumberland Valley Christian School (CVCS). 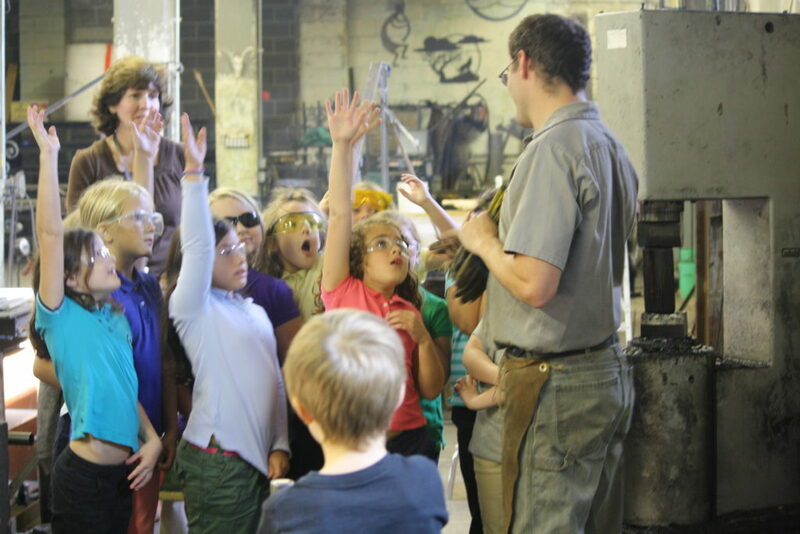 We always enjoy this enthusiastic group of kids. 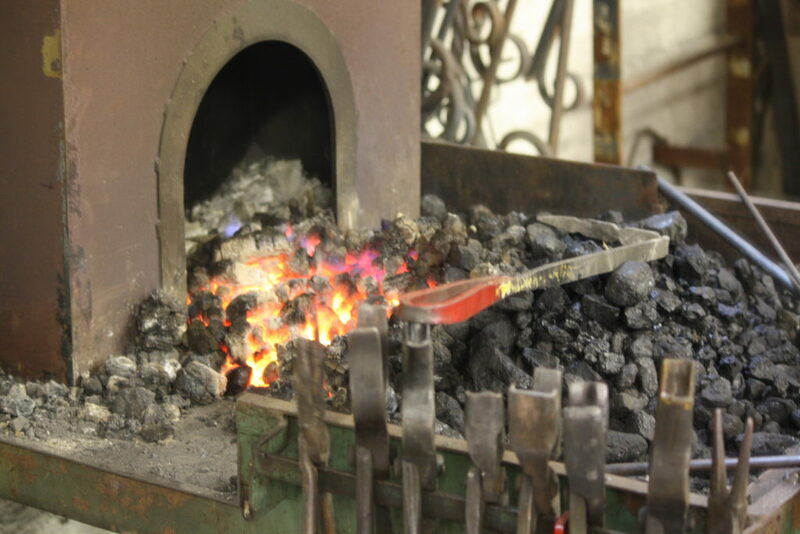 Cold Rolling Metal to make a bend- Who wants to volunteer? 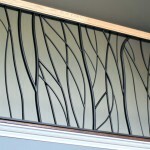 Wrought Iron Sculpture of the Temptation- Who can name this bible story? 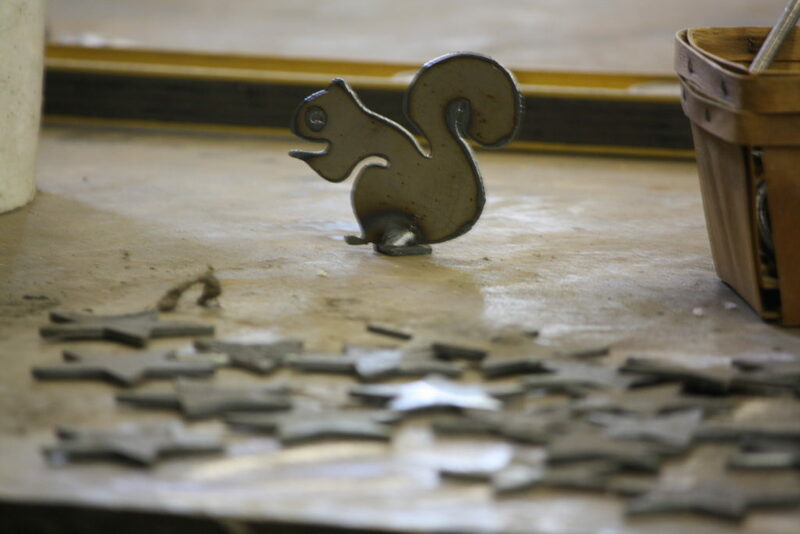 Who will volunteer to give it a twist? 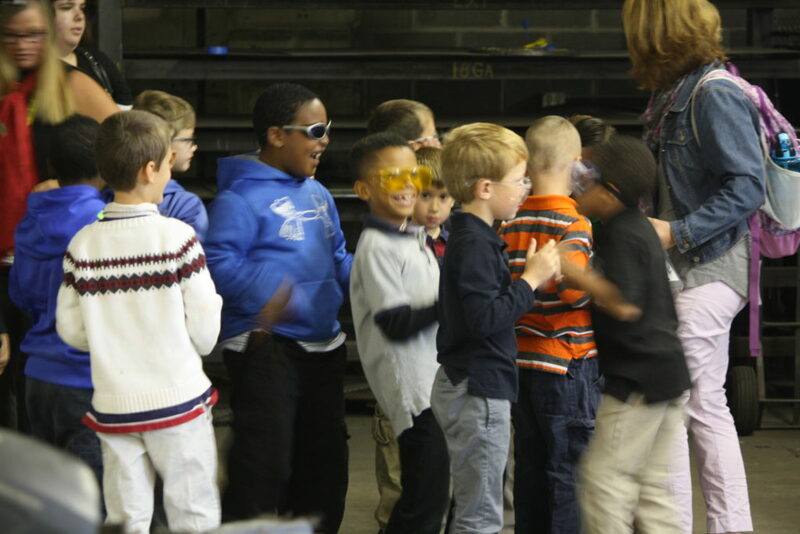 Thank you CVCS 2nd Graders you were all wondeful! 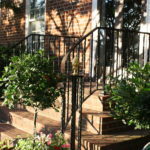 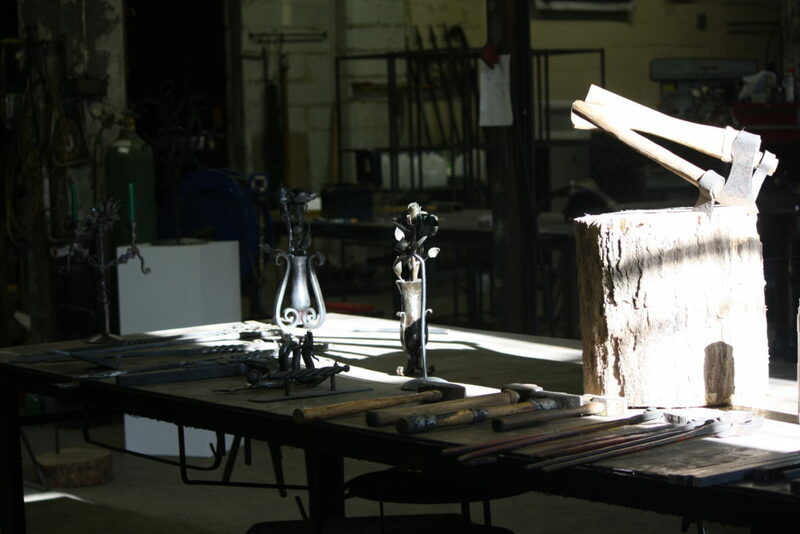 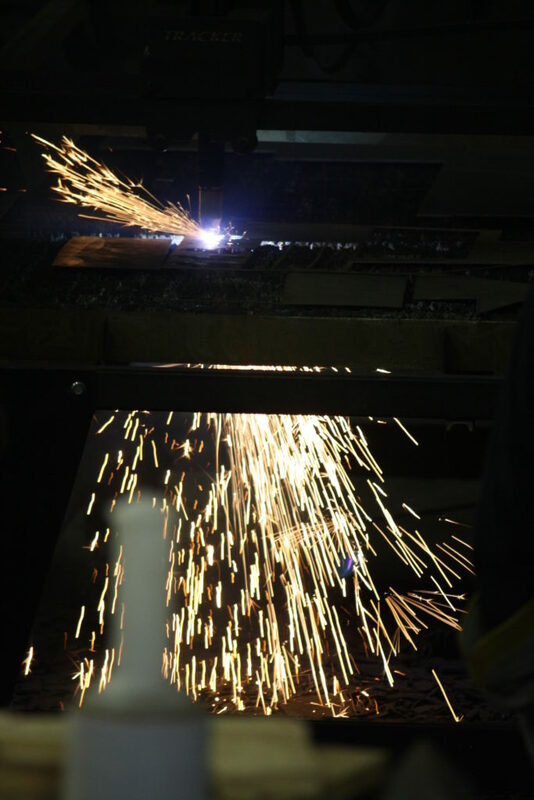 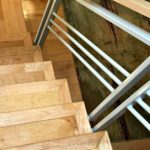 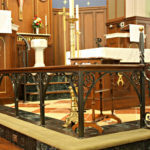 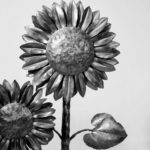 Antietam Iron Works hand forges custom wrought iron railings, fences, balconies, and gates in the Maryland, Pennsylvania, Virginia and Washington, DC metro area. 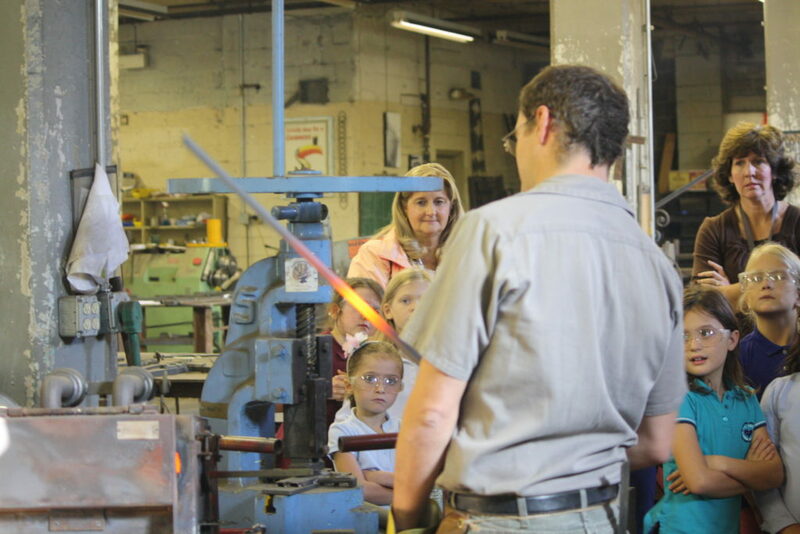 We are a small, family-owned business, which we started in 1982. 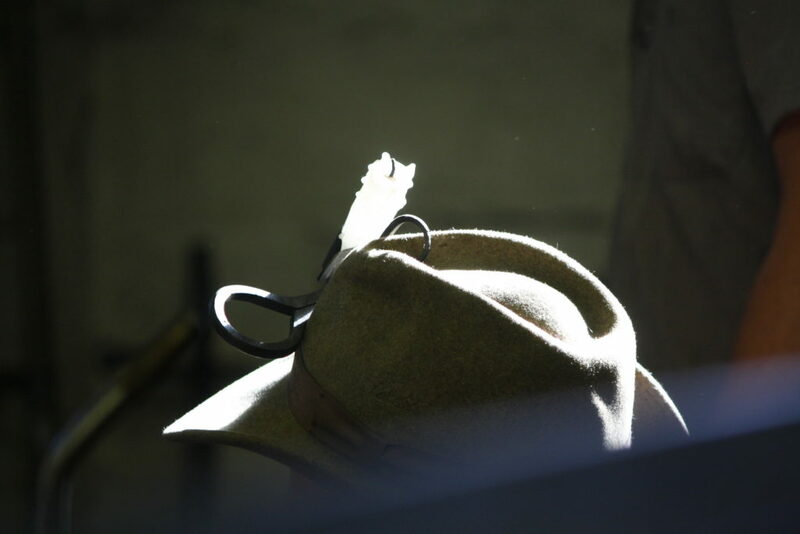 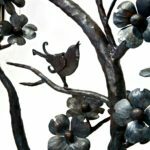 We use a combination of traditional and modern techniques to create each piece, one at a time, hand detailed and often hand finished.